There’s been a lot written about how organizations can design and implement bullet proof 360 assessment programs. However, very little guidance has been provided to the hapless manager who ends up on the receiving end of one of these things. For those new to management or leadership development, a 360 assessment is a questionnaire designed to solicit feedback on leadership and management capabilities from a manager’s employees, peers, and manager, and includes a self-assessment as well. 360 assessments are usually used for “development”, and sometimes used as input to performance appraisals or to identify high potential talent. 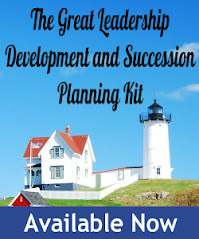 They are a powerful tool for leadership development and I highly recommend them. After all, feedback is the breakfast of champions, the gift that keep son giving, yada, yada, yada. Now, if you are one of the people responsible for administering 360 assessments, please stop reading. This post is not for you. This is for managers only….now go away, OK? 1. If you can, avoid them! HR can’t make you do anything, right? Sure, we all know we’re supposed to go to the dentist twice a year and floss, but if we would rather drink our food through a straw, that’s our own damn business. Same goes for management – the key to success is to cover up your flaws and bury your head in the sand like an ostrich. No good will come from a 360 or any kind of real feedback. 2. However….if they track you down and force you to take one, try to pick your own raters. Use the “friends and family plan” system. If you can’t pick your own raters, then use threats or bribes to get raters to inflate their scores and say nice things about you. 3. Make sure your raters are notified by one of those impersonal, system generated emails. “Dear rater” is a nice touch. That way, they will know you’re not really serious and may just delete it. Better yet if it ends up in their spam folder. 4. Give your raters an unreasonable amount of time to do their assessments. If enough raters don’t complete it, then viola, no report! Or, we all know raters, when rushed, will give all high scores and won’t have time for damaging comments. An alternative is to give no deadline with no reminders. 5. Remember that self-assessment? “Forget” to do it. Hope that a missing questionnaire will hold up the report and someone will forget to run it. Besides, self-reflection is for losers. However, if you tracked down and forced to do your own, give yourself all high scores and write nice things about yourself in the comment sections. 6. If all else fails and a report is generated, spend all of your time trying to figure out where the low scores came from and who gave you the critical comments. It’s fun to play detective! Compare comments to past emails, try to crack the software security, or try to trick people into revealing their scores and comments. 7. If someone offers to “help you interpret the report and create a development plan”, refuse the offer. These do-gooders only want to make you uncomfortable and will make fun of you behind your back. Do not return their calls and emails and they will go away. 8. Have a follow-up meeting with your raters to try to convince them your low score are just “a perception issue”. These meetings are also helpful in finding out who gave you the low scores. When you ask for clarification around a low score, and some idiot raises their hand, bingo, there’s the culprit! 9. When the dust settles and all is said and done, spend your energy clearing up those nasty perception issues and proving how good you are. DO NOT waste time trying to actually improve. After all, we all know people can’t change, and there’s no use trying to teach a pig to fly. It’s all about marketing. Social media tools can be very helpful - employees love those daily tweets from the boss. With persistence, you’ll turn those faults into strengths in no time! 10. Finally, whatever you do, don’t follow-up on any commitments you may have made in a moment of weakness while you were trying to defend yourself. That would be like admitting guilt. Like a bad dream, it will all fade away with time. However, hang on to your report. That way, if you are ever asked to do another 360 assessment, you can say “naw, I’ve already done one of those and it was a waste of time”. OK, all kidding aside: I did not make up a single one of these! Each and every one is based on actual experience with real managers (even the one about writing your own comments). Sure, some of them may have been intentionally trying to sabotage the process to cover up their incompetence, but in most cases, they just may not have been given the proper instructions and support. I’ve also heard of organizations doing some pretty shady and dumb things with their 360 assessments systems, so who can blame them for pushing back? What are some of the dumbest things you’ve seen managers and organizations to when it comes to 360 assessments? Love it (particularly timely article in my case)! I especially like #10, and calling it a "waste of time." I've seen this same reaction to other processes intended to provide feedback and produce positive change - the person gives a half-hearted effort, then blames the process as ineffective. In my opinion, HR is sometimes a little at fault too, by not providing enough guidance, follow up, and influential communication to the leader in question. If we (HR) are going to provide the service, we really outght to do everything we can to ensure it achieves the end goal, otherwise we lose credibility right alongside the leader who didn't take it seriously. Thanks. I agree- crappy HR processes can produce crappy management behaviors . As one of the "do-gooders" who supports 360s and helps managers develop plans, I fear that some of this stuff takes place. But more often than not, I find people get some value out of it and actually attempt to make changes. But the dumbest thing I've heard is for a manager to ask to have another 360 done. Another? Yes. Because their manager said it had been (insert random number) years since the last, and "it was time...". You know...in an effort to encourage development. What makes it really dumb is these are most often the same managers who do not take advantage of the "do-gooders" services around interpretation and development. Checked it off the list!!! Great article! These types of workplace evaluations can be challenging, but I believe it is all in the way you communicate. I teach the ARC method, you acknowledge what the questioner has asked, you respond to the question, and then clarify the value of your answer by connecting to the benefits. Dan, As I read your list, a number of the items were familiar. I totally agree that in order for a 360 to be effective, it needs to be set in an appropriate context to get the information needed for developing leaders. I agree particularly with #10! This is so common, and I call it covering a shortcoming with a mistake. I have participated in over 4 360 assessments as a aprt of Management Training. I have benefited immensely from each and improved areas where \i was defficient in the eyes of others. I am a better \manager today because of the 360. Why would you want to sabotage the process. it's there to help you.